Carpeting adds warmth and elegance to a home. It is often used to enhance or protect other floor coverings, such as wood, marble or tile. Mismanaging the treatment of your carpet - over cleaning, under cleaning or incorrect cleaning, can shorten carpet life, compound health problems for asthma and allergy sufferers and lead to a mixed bag of health issues. Problem: Your shoes carry traces of everything and anything that you step on during the day, right into your home. From your very first step inside the threshold until the moment you take off your shoes, those traces rub off into, and stick to, your carpets and rugs. Solutions: Wear house slippers from the moment you enter the house. This may not be the most practical solution, but it even better than bare feet, which can leave trace body oils on the carpets and floors, this is the best way to prevent pollutant carry-over from shoes. Wipe your feet before entering the house. This is a nice idea, but it is often hard to get family members and guests on board. Place a long narrow mat at the entrance to your home. The mat should extend at least three feet. 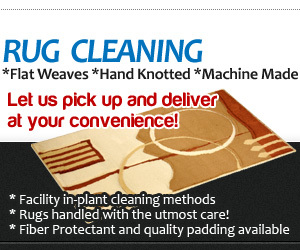 It will pick up any residue that was not wiped on the door mat. 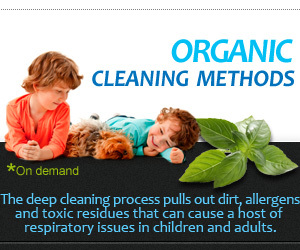 Problem: Carpet cleaning methods that use harsh chemicals may damage the environment, both inside and out. 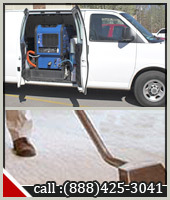 Solutions: Vacuum Clean your carpet of dust mites and surface dust and dirt before it turns into hard to remove grime. Vacuuming tip: go over heavily trafficked areas more than once, and don't forget the dust-attracting edges along the walls and corners. Wash throw rugs and area rugs in your washing machine. Smaller carpets are most often used in high-traffic areas and are perfect landing grounds for dust, dirt, mold and other contaminants. Their size makes it easy to wash them at home once or twice a month. Steam cleaning. You can rent a machine and do it yourself or save the time and bother by calling in a professional carpet cleaning company to wash the carpets too big to put in the washing machine. Problem: Something spilled on the carpet. 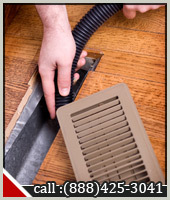 Solutions: Avoid staining - clean spills immediately. To clean a wet spill, first blot, then apply a mixture of a cup warm water and ½ teaspoon dishwashing liquid. Use a paper towel or a clean white rag. Vinegar and water (about 2 or 3 teaspoons vinegar to one cup water) will remove almost any stain. 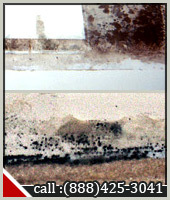 Sprinkle baking soda, cornstarch or corn meal on grease stains. Leave on for at least six hours, and then vacuum. Clean stains caused by red wine with club soda. Problem: There's something stuck on the carpet. 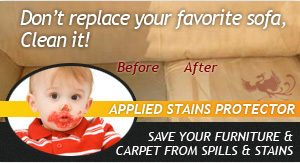 Solutions: Gum and candle drippings are two carpet cleaning challenges that can be easily overcome. Ice applied to the offending substance will harden it, making it easy to remove. Problem: My carpet smells bad. Solutions: Sprinkle carpet with baking soda on the carpet before vacuuming. 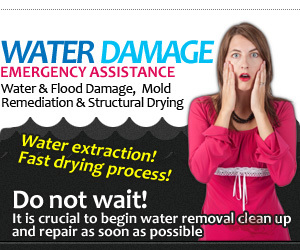 Carpets that have not been treated to regular maintenance need more drastic measures. To avoid harsh chemicals pollutants, call in a professional carpet cleaners like Phoenix Carpet Cleaning that offers environment friendly green cleaning products and methods.